If you’re using Ensignia Enterprise, you may have noticed that the Twitter plugin stopped working recently. It looks like the method that the plugin used to retrieve the data from twitter.com has become obsolete. We upgraded the plugin and it’s up and running again! We also added the capability of displaying avatars in the feed. If you don’t want to display avatars, you can turn them off in Options / Ensignia Twitter Updates. 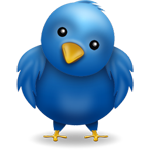 If you are have an active enterprise license and would like to upgrade your Twitter plugin, you can re-download the Ensignia package from our customer area. You don’t have to replace your entire Ensignia installation, all you need to do is update the directory plugins/enm_twitter on your server.